Sing with us in the Muziekgebouw! and you are invited to sing with us! The concert is part of the 24h Resonance concert, curated by Merlijn Twaalfhoven, with the motto to experience the power of music and support active music making – together – beyond the common separation of amateurs and professionals. Merlijn gave various entrepreneurs of the voice a Carte Blanche to fill an hour or two with their approach to vocal music in this 24 hour non-stop concert. From 7am to 8am, the moment when the night ends and the light returns in the all-glass foyer of the Muziekgebouw overlooking the water, the Genetic Choir Ensemble will lead an instant composition concert titled “Sounds of the City / De ontwakende stad”. 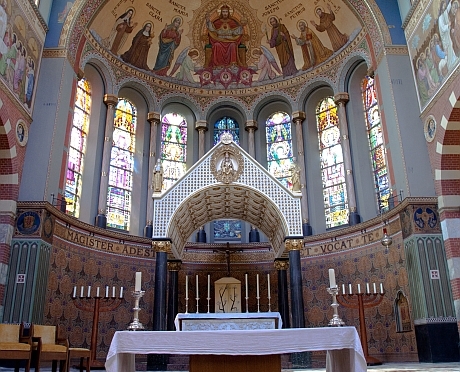 If the Genetic Choir way of working is well-known to you and you’ve recently worked with us in a session or workshop, then joining this rehearsal is sufficient for joining the concert as a singer. If you think this applies to you, please send an e-mail to thomas@genetic-choir.org or react via the Contact page to announce your wish to be part of this. 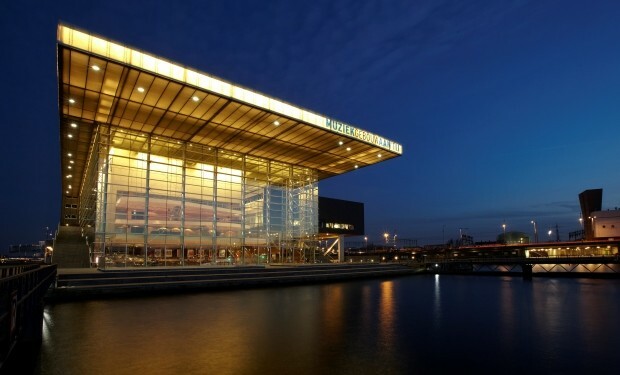 Anyone is welcome to join us in the Muziekgebouw concert between 7 and 8am, whatever your experience and background! You just need to be able to come on both October 3rd and 9th, for the workshop and the rehearsal. 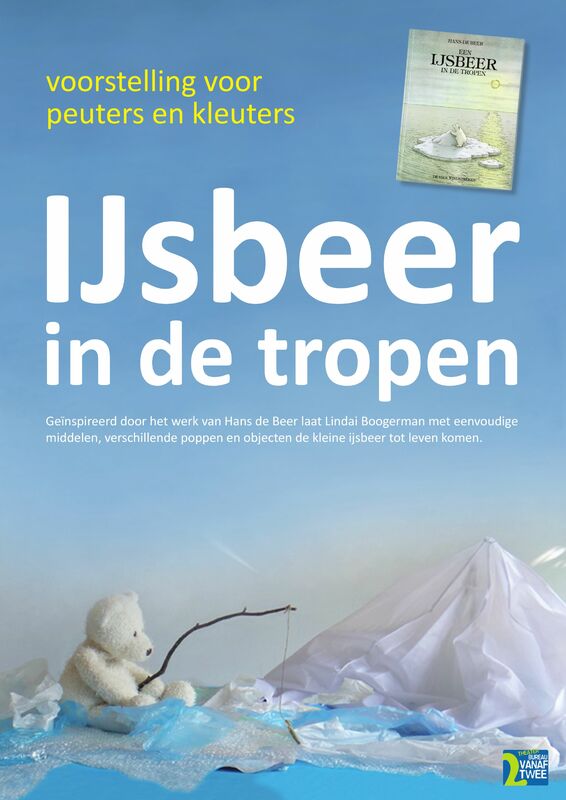 In january, the Genetic Choir will sing a concert in – for us – unusual context: the yearly international festival of theatre-improv – IMPRO Amsterdam. 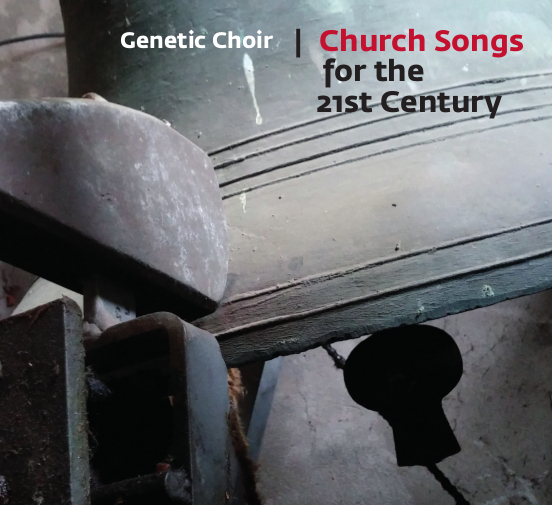 The Genetic Choir create meaning and beauty from seeming sound-randomness. The starting point of their music is always the reality at hand: The architecture of the building, the people who came to listen, accidental things they hear, taste, smell. For IMPRO Amsterdam, they will tap into the atmosphere of the festival and create a late-night footnote in unexpected sound. 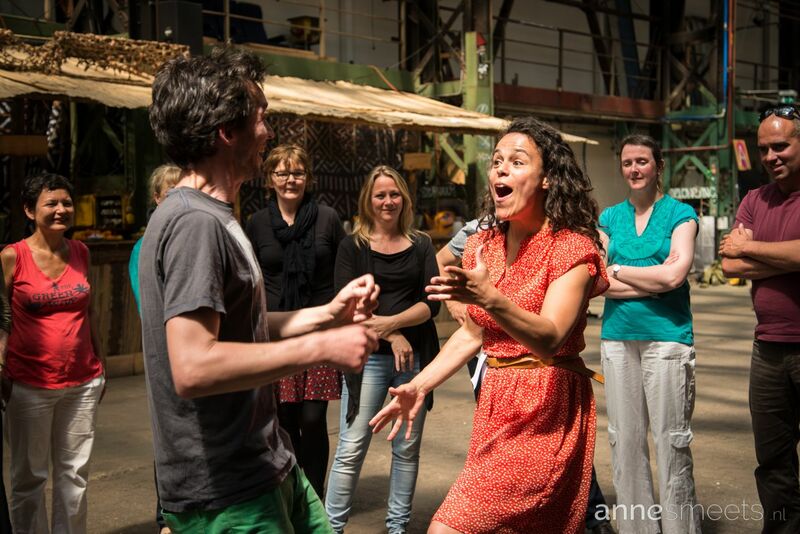 There is also a Genetic Choir workshop that you can join during the festival on Saturday, 31st. 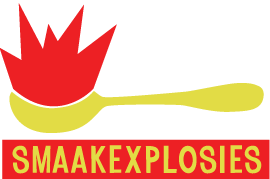 Coming weekend, the Genetic Choir will appear on unexpected moments between the food-stands and eaters of the lovely Smaakexplosies Festival (“Explosions of Taste”) in Zaandam, Netherlands. Saturday and Sunday, 15 + 16 September 2012. The whole afternoon, we will sing instant composition pieces based on the stuff we eat and smell! For route descriptions and more info, click here. The performance “Elevator Music” on September 1st in The Hague was a wonderful experience! Soon to be repeated in a high building near where you live 😉 . Midzomerschans Festival on the island of Texel, Netherlands. June 17, 2011 | Categories: improvisation, performances | Tags: concert, performances, site-specific | Comments Off on Outdoor Festival Concert !